his kind of safa is made using maroon and cream velvet embroiding lace and has patch work around it similar to the work present on the corresponding Sherwani collar/neck. This gives complete matching look to the outfit. 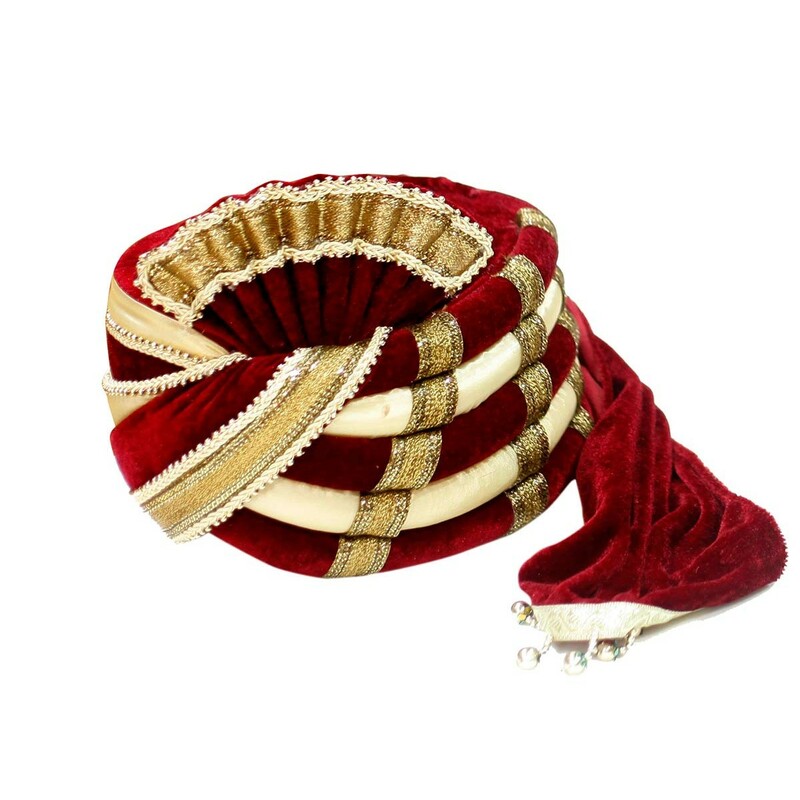 This kind of safa is made using maroon and cream velvet embroiding lace and has patch work around it similar to the work present on the corresponding Sherwani collar/neck. This gives complete matching look to the outfit. 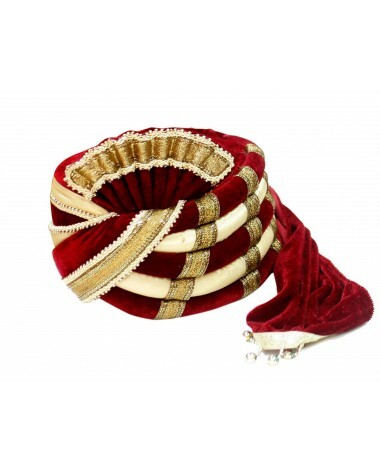 Full velvet design safa is in latest fashion.